If you ever question if your mattress needs a box spring, then I here to help you. I have researched this the issue and come up with an answer to validate your questions regarding adding a box spring. What is the point of a box spring? The point of a box spring is to raise the mattress’s overall height, reduce wear to the mattress, and to create a flat firm surface for the mattress to rest on top.  Mattresses can’t just go on the floor. Box springs are the best support and will improve the longevity of your mattress investment. Below, we will describe how a box spring and box foundation support performance and help you decide which is the best for your sleeping needs. 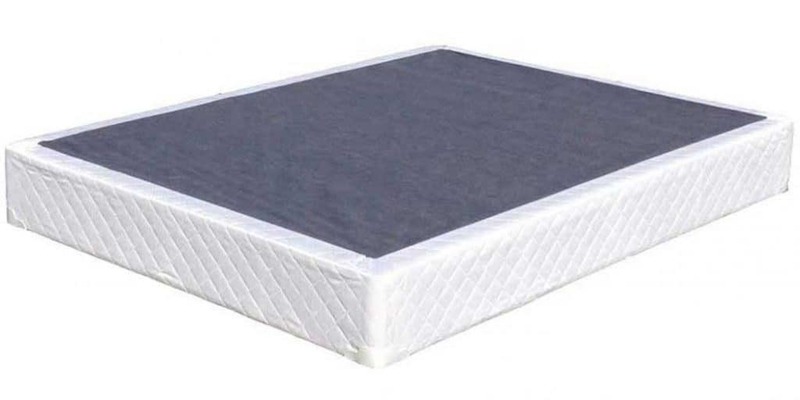 You need the right support box spring to hold your mattress. The box spring allows the mattress to escape the coldest air and much of the dust by raising it to a reasonable height. Box springs come in the same standard sizes as mattresses, ranging from twin to California king. The “box” in a box spring refers to the frame, which is usually made of wood and is meant to absorb and distribute the mattress’s weight. For extra strength, box springs often have added steel reinforcements. As part of the frame’s support system, there is a grid of heavy-gauge coils attached to the frame. The bottom and top are generally covered with a skid-resistant fabric that serves as a barrier for dust. There are a couple buying options when shopping for box springs. 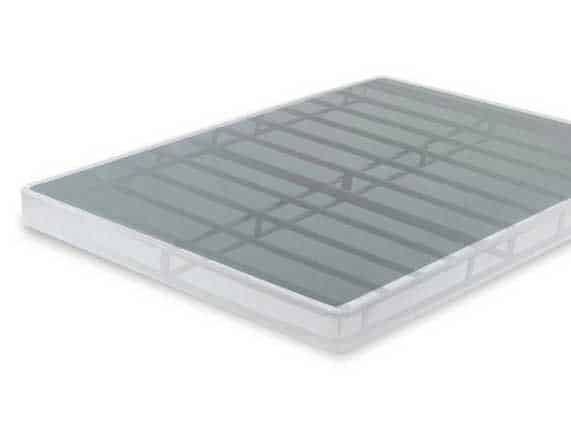 For greater mattress durability, consider high-quality square coil modular grids. For the flexibility and proper support of firm mattresses, cone-shaped coils may be a better option. Innerspring mattresses work well with both of these box spring types since the coils move with the mattress coils. A box foundation consists of a wooden frame and slats, but they are also entirely different from box springs. As opposed to a box spring, which is less for support and more for absorbing shocks, foundations are meant to provide extra mattress support. As memory foam and foam mattresses grow in popularity and replace coil mattresses, foundations are attracting more shopper since they give the support that many foam mattresses are lacking. You should consider a box foundation if you don’t think your platform bed frame is enough for your hefty mattress. This is particularly true if you have a latex mattress or other flexible and dense mattress type. Also, foundations are available in the same sizes as mattresses. I hope you find this information useful. As you were able to read the many points to a mattress foundation. If you still not sure if a box spring or box foundation is not the right choice for you, I would recommend a bunkie board. Is a Box Spring the Same as Foundation? Similar in look to a box spring is a foundation box. The difference is that a foundation is covered with fabric and has wood slats running from side to side. The foundation appearances are the same as a box spring. Can you use a piece of plywood instead of a box spring? I will strongly recommend against using wooden piece plywood instead of a box. The reason I will not use wooden piece plywood on your bed is the wood acts like splinters to the mattress. The plywood will ruin your mattress warranty and destroy your mattress at the same time. The best solution is to use a fabric cover bunkie board instead of a piece of plywood.